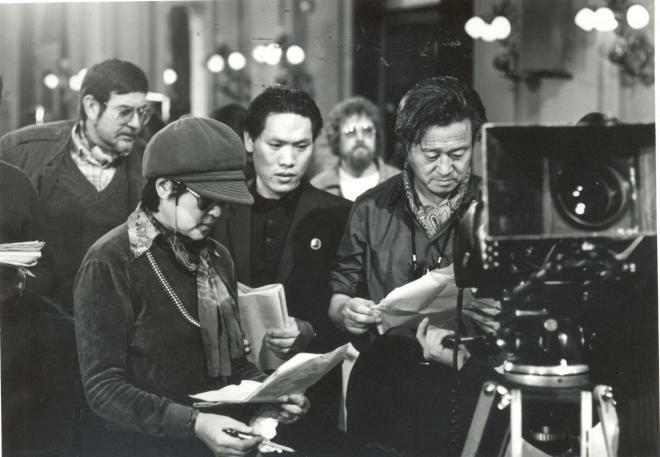 Shin Sang-ok produced the 3 Ninjas franchise in Hollywood and some of Kim Jong-il’s most ambitious propaganda films. Like his ex-wife, actress Choi Eun-hee, Shin had to live with many decisions that were outside his control. Kidnapped by the North Korean Communist regime, Shin and Choi renewed their romance as they bided their time, waiting for an opportunity to escape. Their absolutely incredible story is chronicled in Rob Cannan & Ross Adam’s documentary, The Lovers and the Despot, which screens during the 2016 Sundance Film Festival. In the late 1950s and 1960s, Shin and Choi were the power couple of South Korean prestige cinema. They were the toast of the international festival circuit and popular at home. Unfortunately, Shin was a poor businessman and a flawed husband. At a time when his production company was drowning in red ink, Shin started an affair with a younger actress. After giving him the boot, Choi left for Hong Kong to explore a lucrative movie offer. Unfortunately, it was a set-up to facilitate her abduction, on Kim Jong-il’s orders. Hoping to find his alarmed son and daughter’s missing mother, Shin followed her trail in Hong Kong, exactly as the North Koreans hoped. Kim hoped to “convince” Choi and Shin to elevate clunky DPRK movie-making into the equal of the vastly superior South Korean film industry they knew so well. Bizarrely, it took Kim five years to implement his plan. In the interim, Shin was held in a prison camp, while Kim essentially kept Choi on display, like an orchid in his private greenhouse. Of course, when he finally asked, they duly agreed, because what choice did they have. Yet, Shin and Choi were always reluctant participants in Kim’s productions. Hoping to escape one day, they secretly recorded exculpatory conversations with the exalted royal dictator. Rather incredibly, their micro-cassettes represent some of the only recordings of Kim II’s voice. Eventually, they would be vindicated, but for years, South Koreans assumed they had sold out to the North. This is one of the most remarkable stranger-than-fiction episodes of the Twentieth Century. It has more suspense and intrigue than the collected George Smiley series, but it is also an incredible love story. Cannan & Adam have a particular affinity for the romantic aspect of the tale, as does Choi herself, whose frequent presence enriches the film tremendously. Lovers also happens to be a super-well put together documentary, shoehorning in plenty of historical context and conveying a colorful sense of the titular lovers’ films, without slowing the pace or interrupting the narrative flow. Just when you think it can’t get any weirder, Choi reveals another twist. It is a truly fascinating story that will leave viewers eager for a comprehensive retrospective of their work (including Shin’s Pulgasari, North Korea’s first kaiju movie). Very highly recommended, The Lovers and the Despot screens again this Tuesday (1/26) in Salt Lake, and Thursday (1/28) and Friday (1/29) in Park City, as part of this year’s Sundance Film Festival.